When Sun Wu Di was still a young kid his father was kidnapped. After this event, Wu Di grew up not trusting people even those who he worked closely with. Wu Di has a narcissistic personality where he feels that those below him are inferior to him and he is perfect all around. He has a perfect girlfriend, Zu An, who is independent and smart. He has no worries! He can always depend on himself. That is until he met a girl named Hu Shan Bao. There is one word to describe this show: CRACKTASTIC. 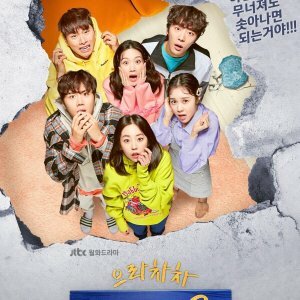 This show is funny, but unlike many asian dramas it doesn't suffer from trying too hard to be funny. It knows where the joke is then ENDS it. The comedy in the show is paced really well with the drama, so you wont feel as if you're stagnating in the drama or comedy for too long. The romance is good. The characters are believable, and their romance progresses naturally without the plot forcing them together too soon, or keeping them apart for too long. The villans in the drama actually have reasons for being the way they are, and at points you can really feel for them. No one is wholly evil, so you get to see the good and the bad in people and their struggle of which side will win. The mustashe twirlers are at least funny, so even if you don't identify with them at least you get to laugh at them throughout. 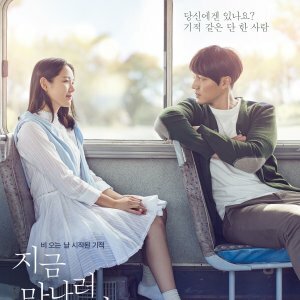 I had to give this a 9 out of 10 because one major storyline is just never resolved, also because although the ending was nice, it didn't really go with the rest of what the drama was. 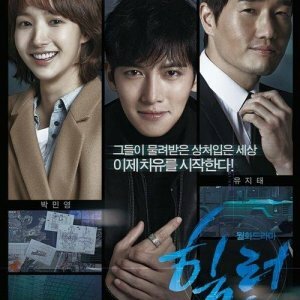 Let me start off by saying that I loved this drama! At times it made me cry, it made me laugh, and the whole way through it was enjoyable. So now to try to give a review without spoiling anything. 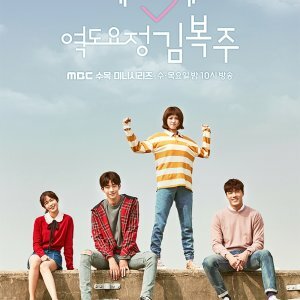 Now, the drama isn't anything incredible or special, but it does have it's charm and it is underappreciated in my opinion. The show starts following the common mold of the two main protagonists, Sun Wu Di and Mei Shan Bao, as enemies who soon develop a friendship and even something more. Fortunately, in the case of this drama, that doesn't stagger longer than necessary, and the development of their interactions are reasonably paced and not too forced. The acting was pretty good, although at certain moments I feel certain actors were overdoing it (though it may have been for comedic effect). I feel that although the drama overall can be considered light and comedic, there were quite a number of dark and melodramatic situations. I'd rate the acting for the leads at about an 8.5. I also really found it interesting to see Roy Chiu play the character he did. I haven't seen him play an antagonist role prior to this drama, and I feel that he did a fantastic job. What's best is that his character isn't some jealous antagonistic a-hole for the sake of it. This character's psychological status and doings were all as a result of valid reasoning against the protagonist. The music was alright, although I really only enjoyed about 2 of the songs I've heard. One of them being the theme song. I'd rate the music at about a 6. Would I rewatch this drama? I *personally* wouldn't, but that's mainly because I personally have a tendency to put shows off longer than intended and I already have enough shows (Asian drama or not) that I plan to watch. For other people however, I'd say I'd rate the rewatch value at about a 6-7. I'd give the storyline an 8 and the overall rating a 7.5, maybe 8.